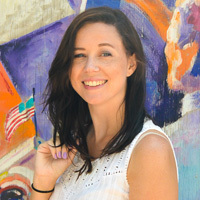 Let’s face it: snacks are one thing kids CANNOT live without! 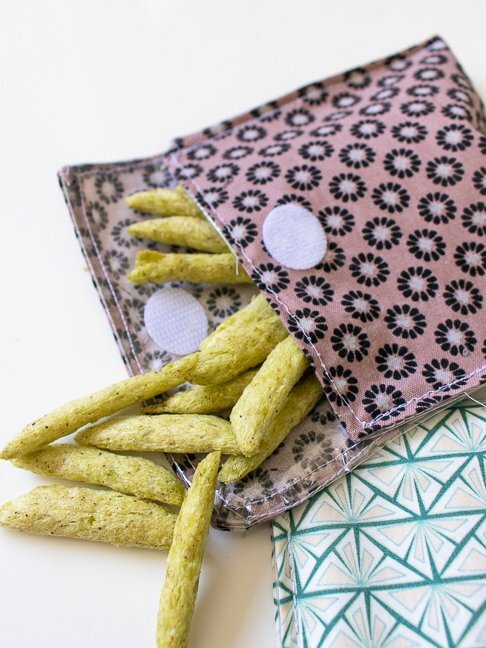 But it’s becoming more and more clear that we need to make more environmentally conscious decisions when buying for our families, and one way to reduce our waste is by creating a set of DIY reusable snack bags to cut unneeded plastics from your home. 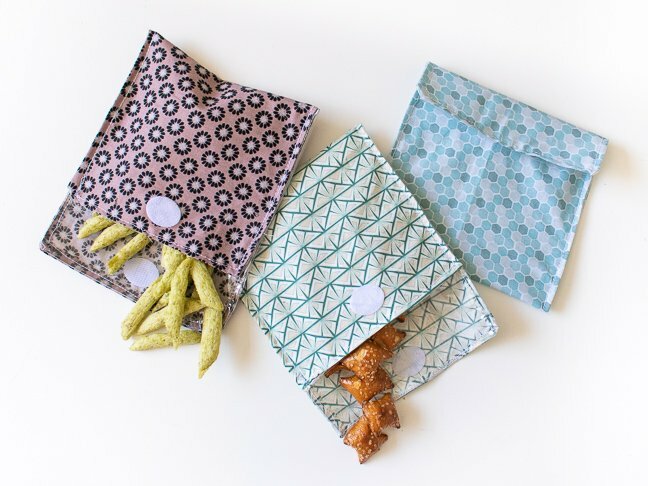 Not only will these adorable, DIY reusable snack bags reduce your plastic waste but reusable products like these can help you save money in the long run. Plus, your kids can choose which patterns and colors they want and you can customize them accordingly to their taste. Or use them for yourself when you are at work or on the go. Pack a variety of snacks like crackers, pretzels, fruit snacks, or other dry snacks, and simply wipe them down or rinse the insides to use them again and again. Once you’ve made them, maintenance is easy! 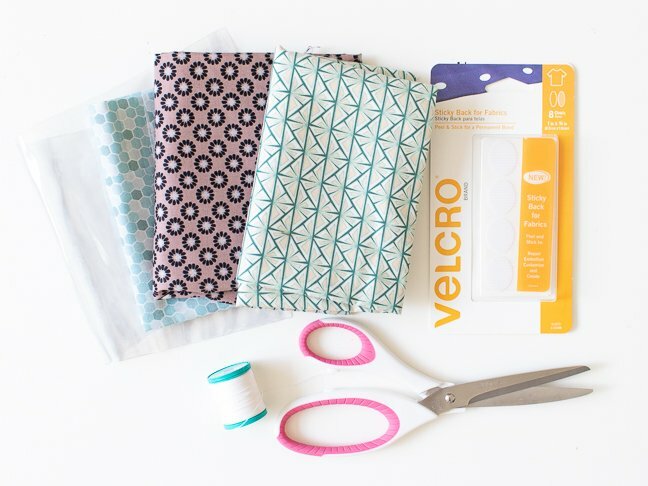 Each bag is easy to sew with a plastic lining that makes them ideal for packing snacks for back-to-school! 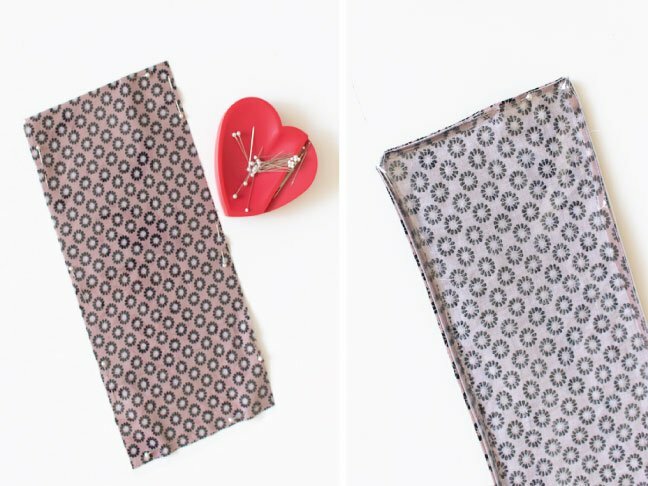 Make them in a variety of colors and sizes, and you’ll always have a reusable bag to pack for the day. 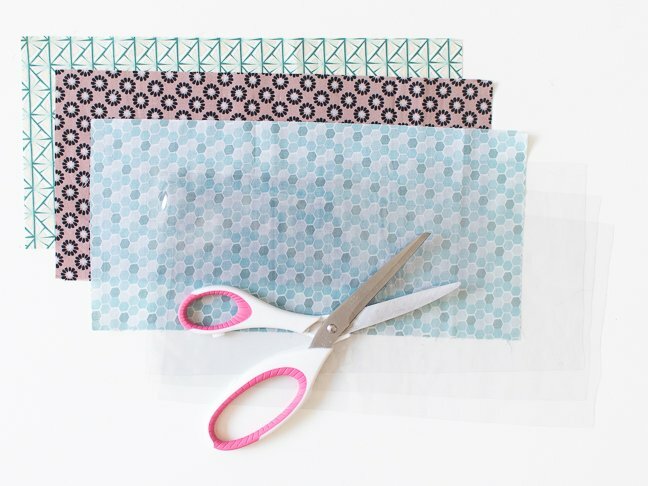 Step 1: Cut a piece of patterned fabric and a piece of plastic vinyl to about 6 x 12 inches each. Repeat with as many pairings as you’d like! Step 2: Pin the vinyl to the right side of the fabric, leaving a section at one end open. Sew all the way around (see above). 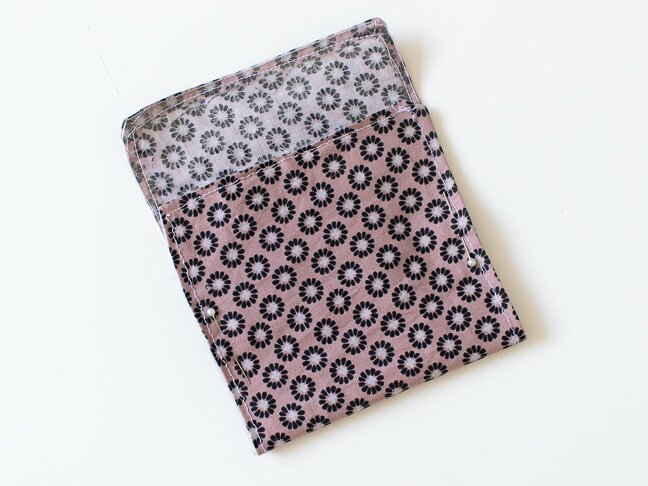 Note, sewing plastic materials like this can be difficult because the fabric wants to bunch and the sewing machine foot wants to stick. For best results, use a plastic foot or add a little tape to the bottom of the foot to prevent sticking. Also, use pins generously to prevent slipping or bunching. Step 3: Turn the piece right side out through the opening. Step 4: Tuck in the seam at the opening and pin. Sew a top stitch all the way around to secure, back stitching at each end. Step 5: Fold up the pouch, leaving a section about 2 inches thick to fold over the snack bag. 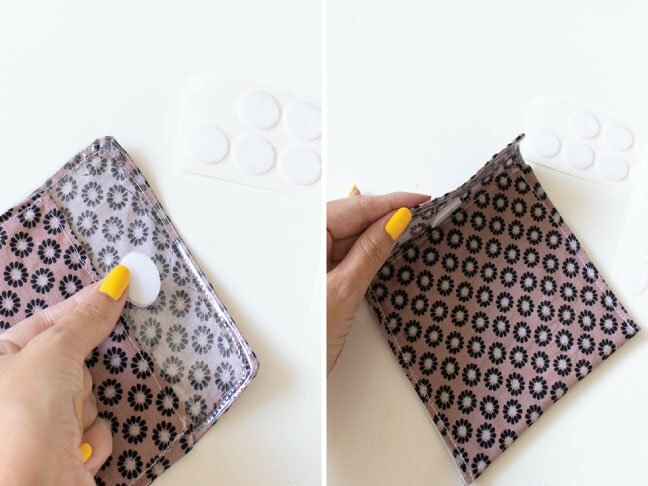 Pin the sides and sew together. Step 6: Peel away one side of the velcro and attach to its pair. Then stick to the flap of the pouch and fold over, pressing to stick in place. This ensures both sides of the velcro will match up. Add snacks! 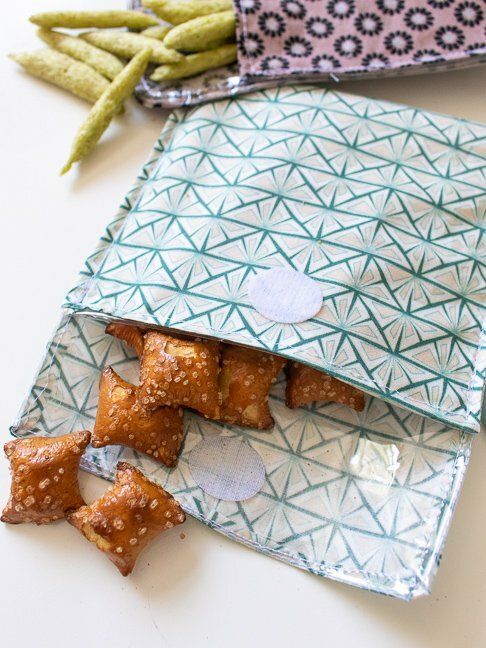 Fill with dry snacks and simply wipe down the insides when you’re finished to reuse the bags again later.